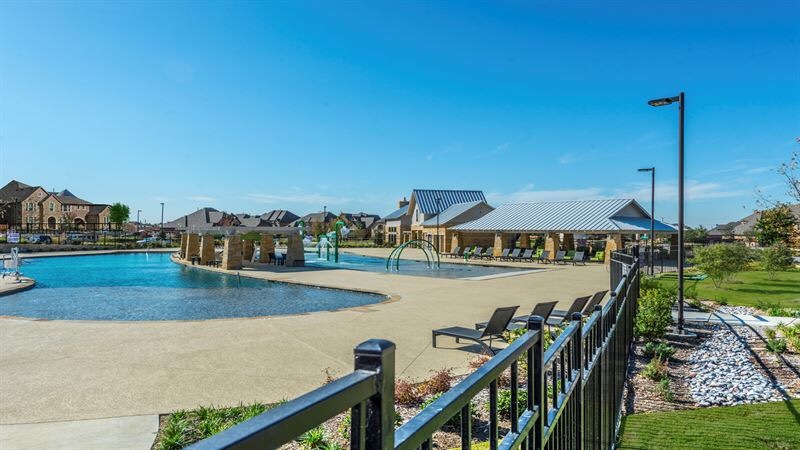 Village Builders specs out 20 Inventory Homes to close-out at Phillips Creek Ranch in Frisco! 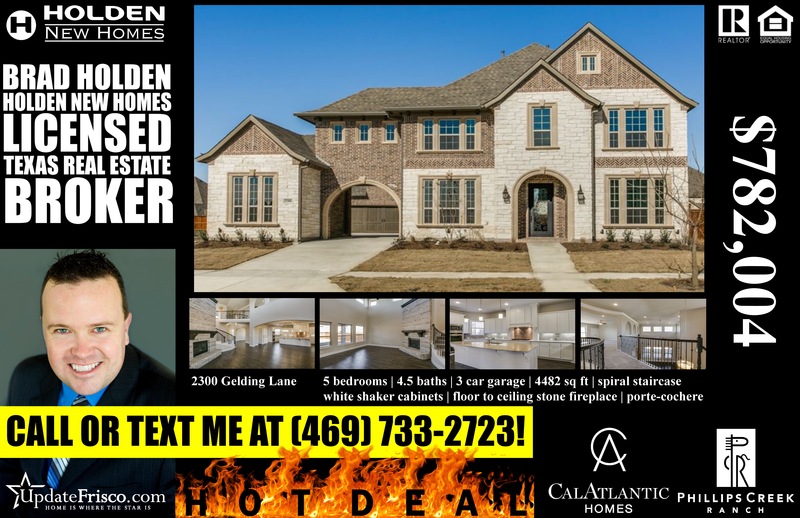 Village Builders bought out Cal Atlantic in late 2017 and since then they have almost closed out their Waterton section at Phillips Creek Ranch in Frisco! Village Builders have also already started another model on their luxury executive section called the Kingston. The Kingston plan is almost perfect from a layout and flow perspective with many of the latest trends and designs throughout. The plan uses a larger breakfast area as the dining room/breakfast nook instead of the separating the two, which is also a new trend buyers have been asking for. Village Builders in the Waterton section, have two homes that are ready to move in today and the other 18 are projected to be complete from September into the summer months of 2019. The Norfolk Floorplan has been one of their most popular plans. Village Builders will only have two left in Phillips Creek Ranch, (one is projected to be completed by the end of this month and priced at $677,313) and below is the layout. It’s also located in a very good part of Waterton one street over from the Waterton Park! Personally I like the Camden Floorplan which is the other home that is available for move in today! The main reason why I like the Camden plan is that it is a 1.5 story with 4 bedrooms all on the first floor. The cabinets in the kitchen are very functional. They provide any new buyer with an ample amount of space to store almost anything that you would need to get to in one place. It’s currently priced at $630,712 but with builder incentives and my buyer rebate you are looking closer to the high $580’s! Upstairs is only the gameroom and media room which is perfect being away from the bedrooms all downstairs! Phillips Creek Ranch is a massive 950 acre development that at build out will accommodate over 3,700 homesites! It has pools and parks everywhere and the developer, Republic Property Group, has done an excellent job! 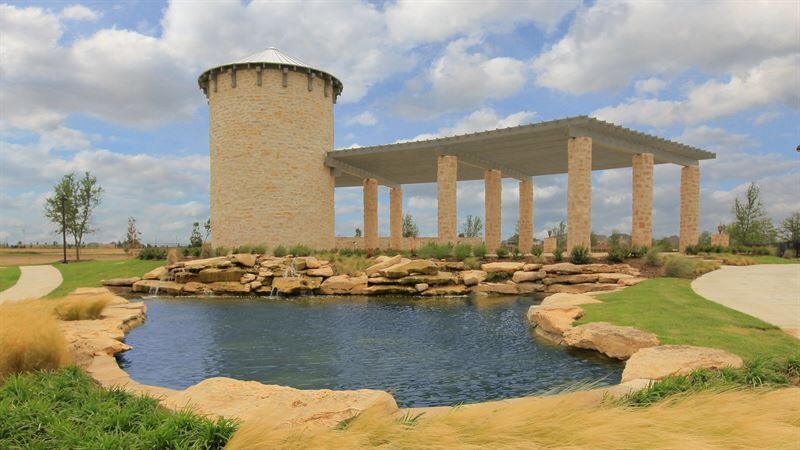 For more on Village Builders at Phillips Creek Ranch in Frisco, text or call Brad Holden today at (469)733-2723. 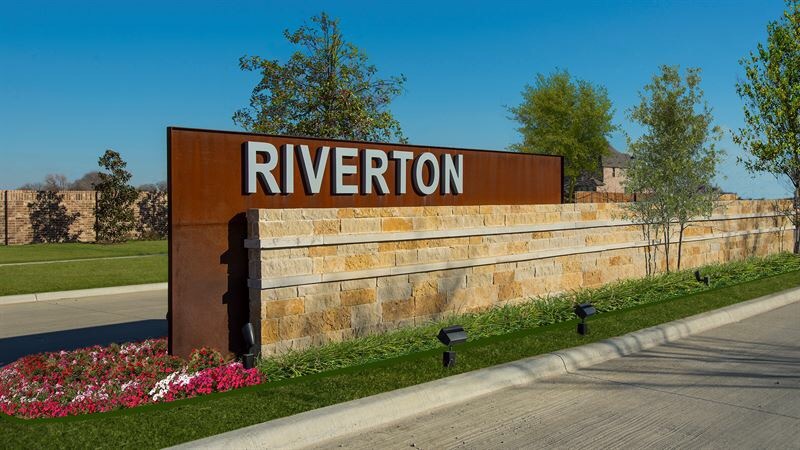 Hot Deals on 75′ Lots from CalAtlantic Homes in Riverton section of Phillips Creek Ranch in Frisco! On of the most sought after communities in Frisco is Phillips Creek Ranch. CalAtlantic Homes is burning up with some hot deals on their 75′ homesites! Before we get into the 75′ lots, I’d like to show you two gorgeous homes on 65′ lots in the same community. 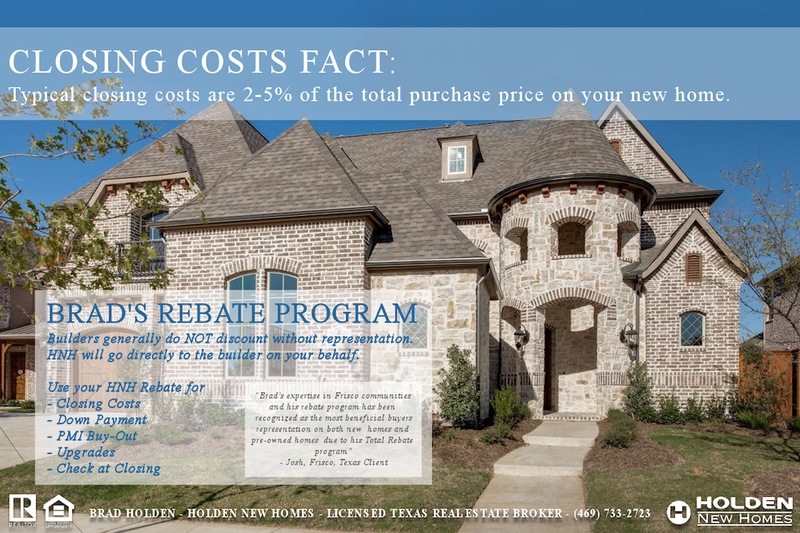 Keep in mind, I have the best rebate in town, and thats just a bonus on top of the great deal I can get you on these homes! 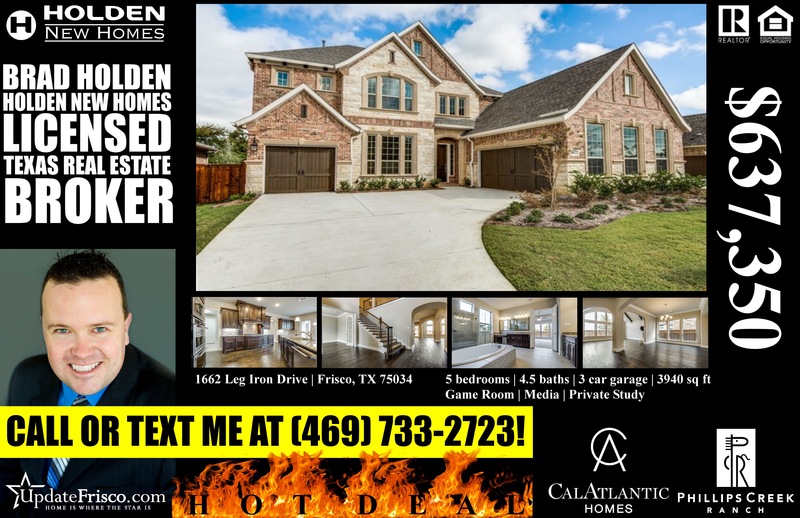 1662 Leg Iron Drive – For more information on this CalAtlantic Homes hot deal in Phillips Creek Ranch, call or text me at (469) 733-2723 today! 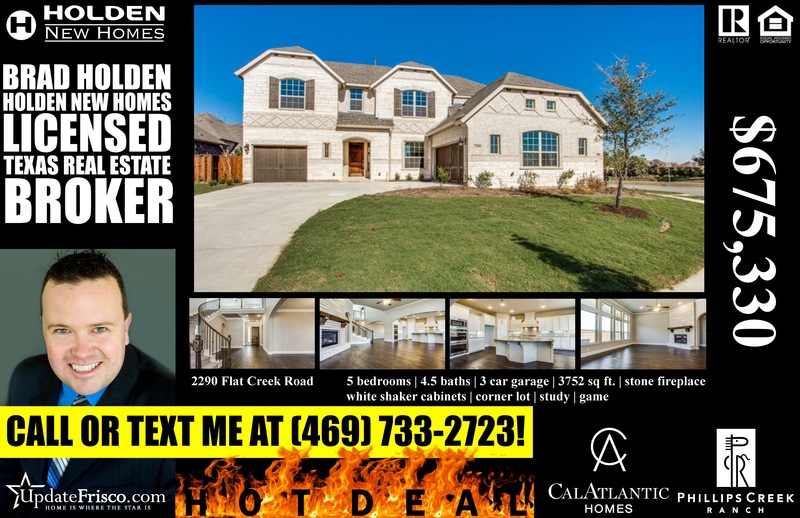 2290 Flat Creek Road – For more information on this CalAtlantic Homes hot deal in Phillips Creek Ranch, call or text me at (469) 733-2723 today! Now let’s view those 75′ homesites! Remember, not only can I lower these already hot deals and get you the best rock bottom price, you also get my incredible rebate program! 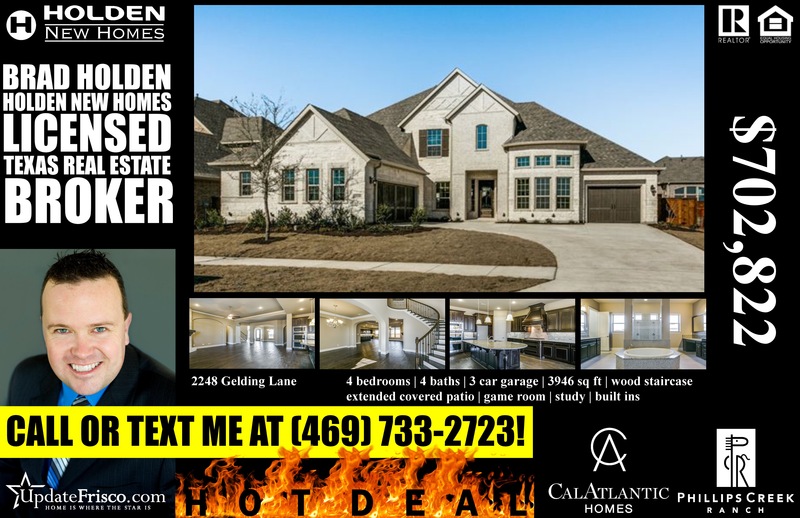 2248 Gelding Lane – For more information on this CalAtlantic Homes hot deal in Phillips Creek Ranch, call or text me at (469) 733-2723 today! 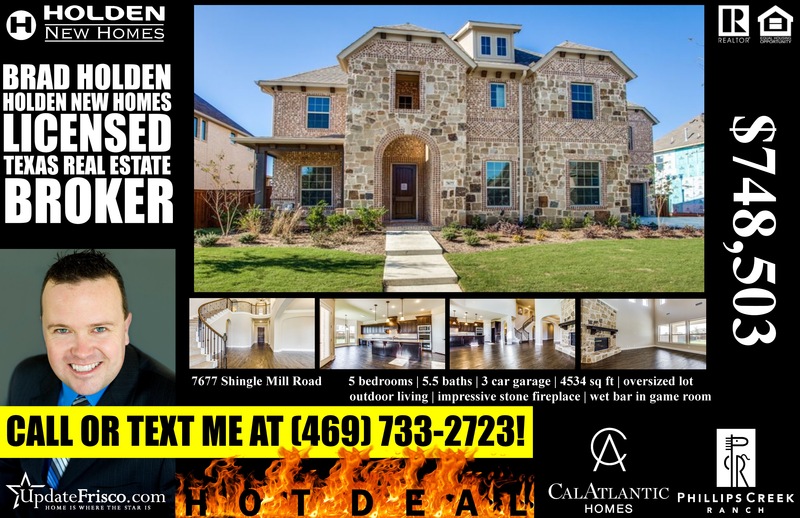 7677 Shingle Mill Road – For more information on this CalAtlantic Homes hot deal in Phillips Creek Ranch, call or text me at (469) 733-2723 today! 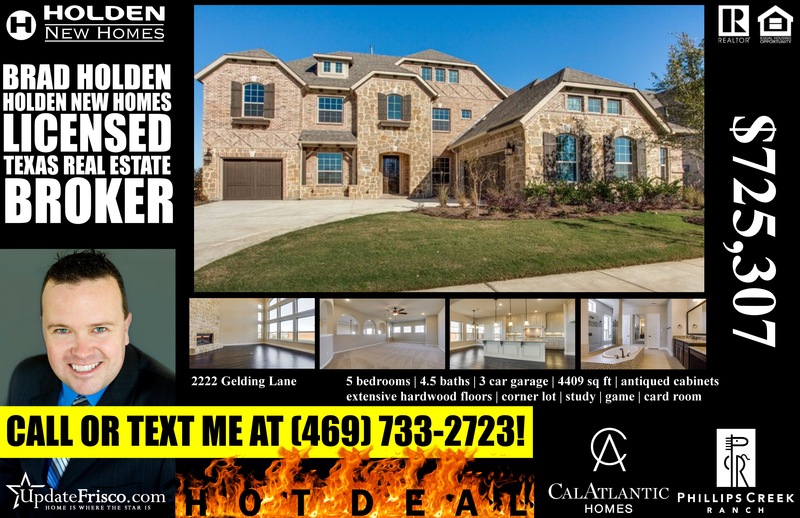 2300 Gelding Lane – For more information on this CalAtlantic Homes hot deal in Phillips Creek Ranch, call or text me at (469) 733-2723 today! 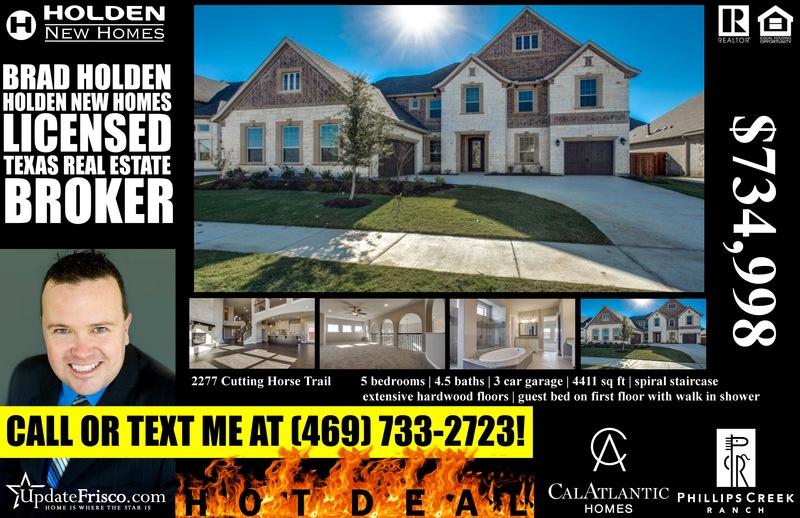 2277 Cutting Horse Trail – For more information on this CalAtlantic Homes hot deal in Phillips Creek Ranch, call or text me at (469) 733-2723 today! 2222 Gelding Lane – For more information on this CalAtlantic Homes hot deal in Phillips Creek Ranch, call or text me at (469) 733-2723 today!